James Andrew Arthur (born 1988) is a British singer and musician who won the ninth series of The X Factor in 2012. His debut single, Impossible, was released after the final and debuted at #1 on the UK Singles Chart on 16 December 2012 in its first week of release. 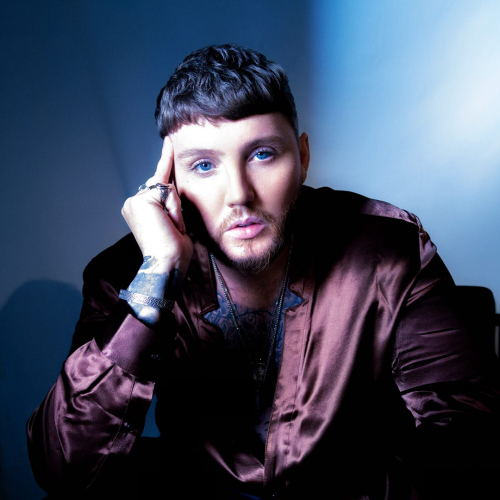 Since 2005, and prior to his participation in The X Factor, he was a vocalist and guitarist in a number of bands, and later, as a solo artist as well as forming his own The James Arthur Band and James Arthur Project. Arthur was born in Middlesbrough, England to English mother Shirley Ashworth and Scottish father Neil Arthur. James’ father was a delivery driver, but also used to be a DJ and a drummer for many years. Arthur’s parents split when he was just two-years-old and each settled with a new partner. Neil and Shirley were not on talking terms with each other for more than twenty years. But they agreed to attend the show together in a family reunion to attend their son’s performance. Arthur first went to Ings Farm Primary School in Redcar, North Yorkshire. When he was nine, he moved with his mother Shirley and his step father Ronald Rafferty to Bahrain where he studied at the local British School of Bahrain for four years. When they split, Arthur, then 14, had to move back with his mother and his two half-sisters Jasmine and Neve to the UK to live in a modest house in Saltburn-by-the-Sea.Upon his return, he continued his studies at Redcar’s Rye Hills School. Arthur has five siblings, an older brother called Neil Arthur, an older sister called Sian Arthur, and three younger sisters, Charlotte Arthur and Jasmin and Neve Rafferty. Arthur has been writing and recording songs since he was 15 as an unsigned artist both solo and in many bands including: Moonlight Drive - a Cleveland-based progressive, experimental, rock five-piece band with Arthur in lead vocals. The band was active between 2005 and 2008. They had recordings such as «Said You’d Be There», «Hole in My Heart» and «Tear Me Apart». Cue the Drama - an alternative rock band based in Marske-by-the-Sea and active between 2005 and 2008. Recordings included «On the Radio 98KUPD», «It’s Killing Me», «I Reach You» and «It Hurts». Save Arcade - a Middlesbrough alternative rock band made up of Arthur (vocals, guitar), Josh Brown (keyboards, vocals), Matthew Green (guitar), Alex Beer (bass, vocals), Travis Shaw (guitar, percussions, vocals) and Karl Dowson (drums). In 2009, the band released a three-track EP called Truth, carrying the title track «The Truth», as well as «Echoes» and «I Un-Proudly Present». In June 2010, the band released a five-track EP, Tonight We Dine in Hades, which in addition to the title track «Tonight We Dine in Hades» included «Superhero», «You Always Want a Fight», «Juliet Is Not Dead» and «She Aims to Please». Both releases were on the independent 57 Records UK. Emerald Skye - a four-piece indie pop/rock band formed in March 2011 based in Redcar / Saltburn-by-the-Sea and made up of Arthur (guitar, vocals), Dean Harrison (piano, violin), Paul Gill (bass) and Save Arcade bandmate Green (drums). Arthur also uploaded many of his own songs to Soundcloud and YouTube including an album entitled Sins by the Sea. In 2011, he auditioned for The Voice UK and made it into the final 200 contestants but no further. In early 2012, he recorded songs and released two EPs as The James Arthur Band. The band consisted of Arthur (vocals and guitar), Jez Taylor (guitar), Chris Smalls (keyboards), Jordan Swain (drums) and Rich Doney (bass). In 2012, the band released The EP Collection CD with nine tracks with R&B, soul and hip hop influences, a compilation of tracks on both EPs. Arthur also released an EP named Hold On under the name The James Arthur Project in August 2012 in collaboration with John McGough. The tracks were written and arranged by McGough, and mixed by Matt Wanstall with all vocals by Arthur. Arthur auditioned for The X Factor with an acoustic rendition of judge Tulisa Contostavlos’s «Young», before explaining his past, including spells in care and time spent on the streets after break-ups within his family. He also revealed his father and mother had not spoken to each other for over 20 years, and this was a reunion of sorts for them to attend his audition. After his judges’ houses performance of «I Can’t Make You Love Me», he was picked by his mentor Nicole Scherzinger as one of the 12 contestants for the live shows, and one of just three in the «Boys» category. After the second live show, Arthur suffered from an anxiety attack backstage. Whilst being treated at the studio, paramedics determined he did not need to go to hospital, and he was ordered back to his hotel to rest. He later returned for the results show the following. Arthur was in the bottom two in week 7 after performing «Can’t Take My Eyes Off You». He sang «Fallin’» for survival against Ella Henderson, with the judges going to deadlock after their vote was evenly split 2-2 (mentor Scherzinger and Gary Barlow voting to keep him, while Contostavlos and Louis Walsh voted in favour of Henderson). Arthur was then saved by the public vote. On 8 December, he made it through to the second night of the live finals. Arthur won The X Factor on 9 December 2012, with 53.7% of the vote, against Jahméne Douglas who received 38.9% of the vote.